Wycliffe Associates require a minimum of $100,000 for medical coverage. Great daily rates for international travelers up to age 84 who have a health plan in the U.S. When signing up, you may select, $50,000, $100,000, 500,000 or $1,000,000 in coverage. 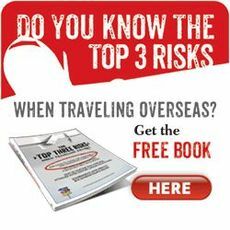 WHO IS THE TRAWICK SAFE TRAVELS PLAN DESIGNED FOR? Can customize and add additional coverage(s) including enhanced AD&D. Is primary insurance outside the U.S.